The Japanese word Santoku translates to ‘three virtues.’ This is significant as a santoku knife can perform three tasks, (among its other attributes) splendidly. 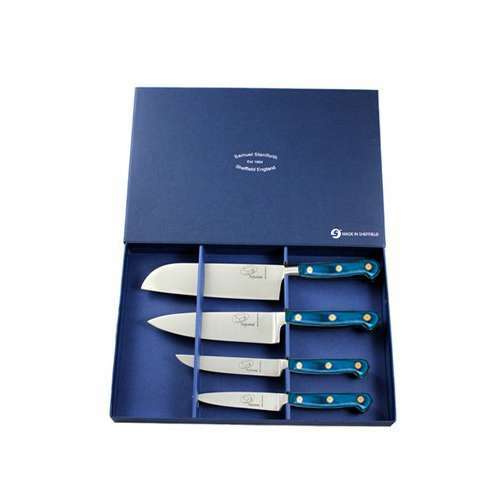 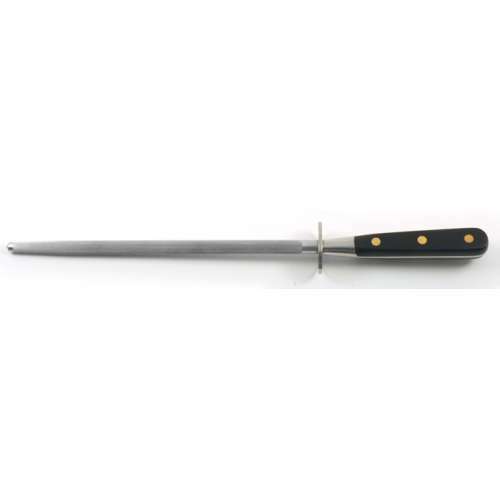 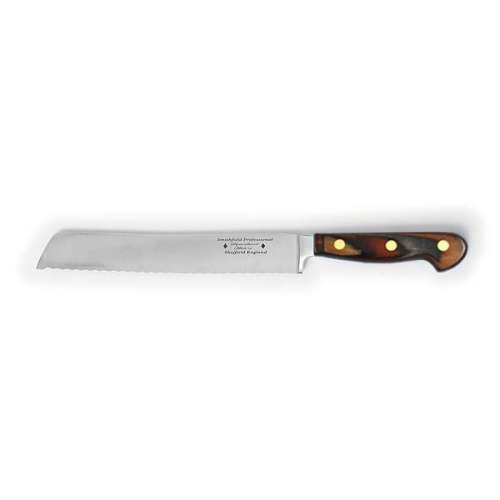 The knife has marvellous chopping, cutting and dicing abilities. 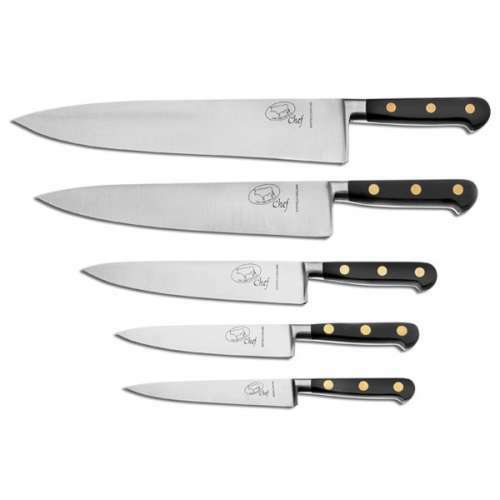 The Japanese word Santoku translates to ‘three virtues.’ This is significant as a santoku knife can perform three tasks, (among its other attributes) splendidly. 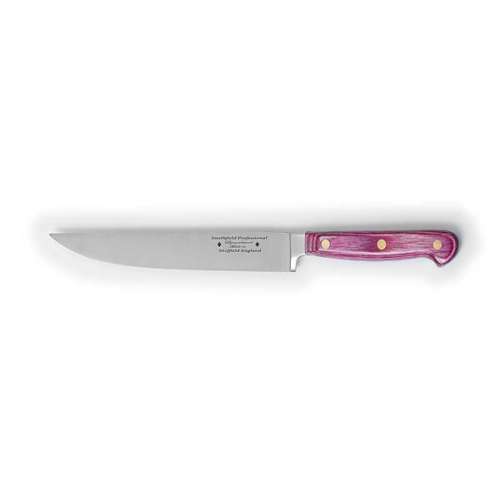 The knife has marvellous chopping, cutting and dicing abilities. 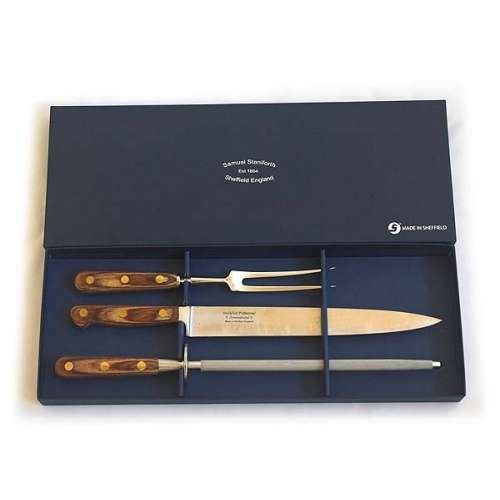 Making it one, if not the first choice for many professional chefs across the globe. 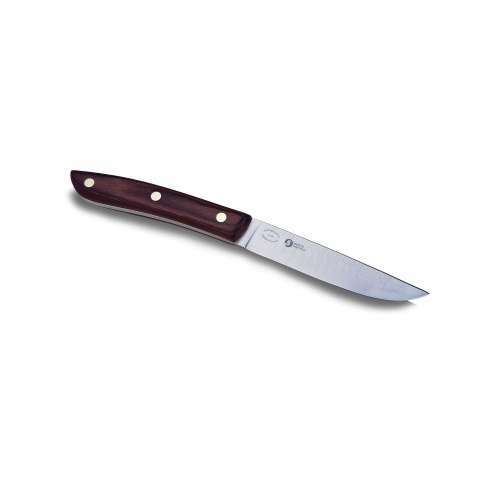 The Santoku is designed to give the user a comfortable, graceful grip whilst allowing for full blade use. 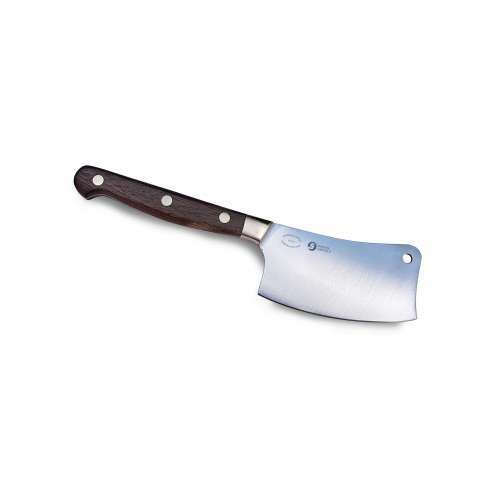 The Santoku exhibits a unique style. 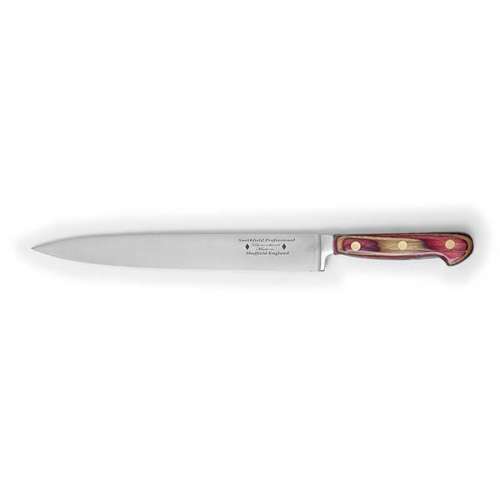 One of this knife's main features is the scalloped edge release pattern on the blade (indents) known as a ‘Granton edge.’ This not only adds flair to the knife but helps release thin slices and sticky food after slicing. 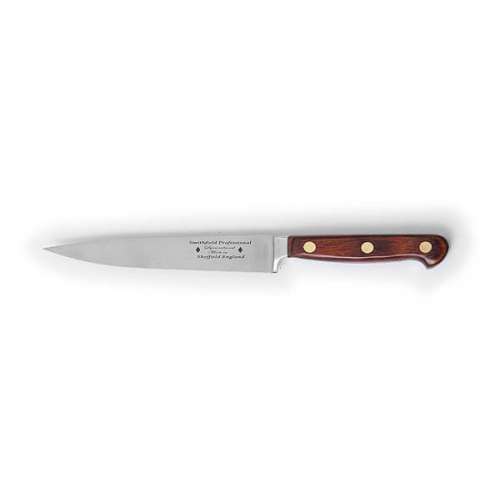 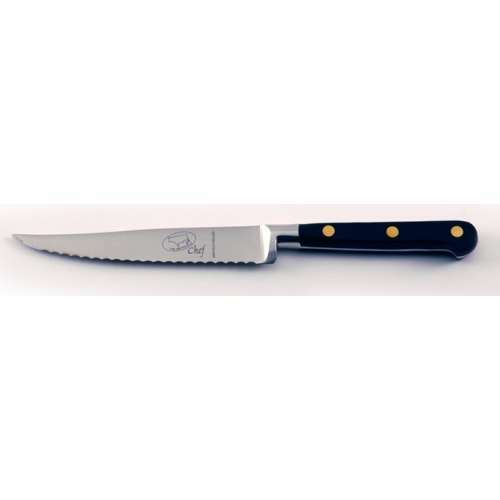 This release ability makes the santoku knife ideal for a range of culinary tasks. 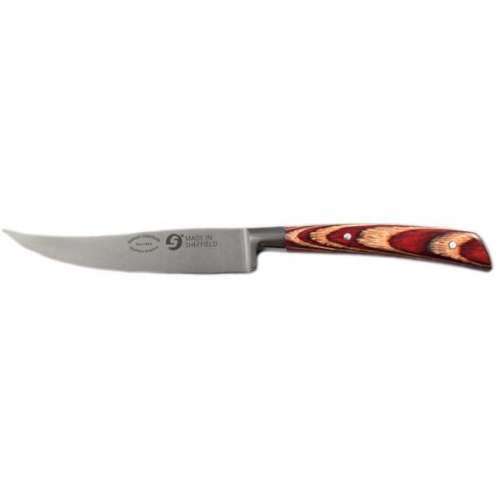 And with a fully forged blade combined with the stunning Dymond Wood handle, this knife will be one of the best knives to reach your hand.